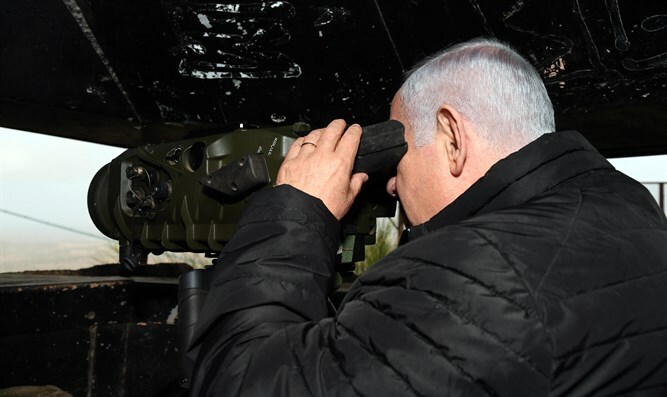 Prime Minister Netanyahu looks at the Syrian border from Northern Israel. Please pray for wisdom for this amazing leader in Israel and that God would protect the people of Israel. In addition to prayer, you may want to contribute to the Song For Israel Bomb Shelter campaign. As things escalate on the Northern border of Israel, rockets will undoubtedly land within Israel from Syria and Iran. Once a rocket siren sounds, residents have between 7 - 10 seconds to locate a bomb shelter for protection. There are not enough shelters! Song For Israel has already placed two shelters in Israel and we are only $2,300 away from completing our third and largest shelter. To learn more, click here. To donate, click here.